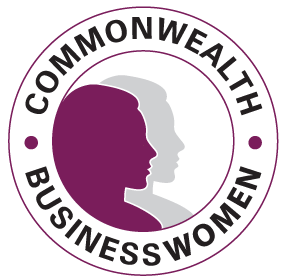 The Commonwealth Centre of Excellence for Women in Procurement – a world first – was announced during the Malta CHOGM Business Forum in a major collaboration between the Commonwealth Businesswomen’s Network, an accredited organisation focused on women’s economic empowerment recognised by 53 governments, and the Government of Kenya. It follows intensive discussions since both parties came together at an event during the 59th UN Commission on the Status of Women in New York in March. Kenya’s leadership in this area was acknowledged during CHOGM with the announcement of its award for ‘Women in Procurement – Government’ during the 1st CHOGM Women’s Forum. Associated partners are the Chartered Institute of Procurement and Supply (CIPS) and UN Development Business (UNDB). Developing countries (under 20%) and women-owned/led/operated businesses (under 1%) are still significantly under-represented in public procurement contract awards due to low awareness, insufficient skills and patchy support to enable them to prepare for, pick up on and participate in contracting and export opportunities worldwide. The Commonwealth Centre of Excellence for Women in Procurement will aim to change this through encouraging countries to target 5,300 women trained by the time of the next CHOGM by 2018 (100 per country). This will be in two stages – completion of an online programme in the Commonwealth Businesswomen Academy involving 2-3 hours a week over 9 months delivered by CIPS followed by access to the Centre of Excellence. The Centre will bring together knowledge (including access to tenders disseminated via UNDB from the multilateral development banks and the private sector with further training from CIPS) and experience (highlighting the approach, impact and lessons of Kenya’s pioneering of 30% public procurement reservation regulations for women since 2013). A parallel track will be advocacy and engagement with Governments and Multilateral Development Banks.